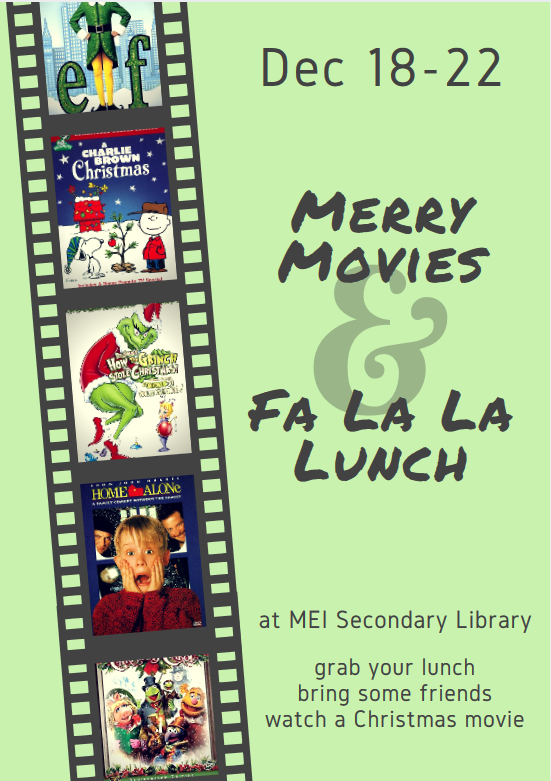 The annual tradition during the last week before Christmas break, of movies at lunch in the library, is happening next week! This entry was tagged christmas, events. Bookmark the permalink.